It was a good week last week -I managed to stick to the meal plan almost entirely (just the one issue where the lamb mince I wanted was out of stock). We had a lovely family meal out at the local Indian buffet for Fathers’ Day yesterday, which was much enjoyed by the geekdaddy. He also particularly loved the 6 (yes, SIX) cards that the geekdaughter had made him! The next couple of weeks are going to be quite hectic though. I’m getting in to a very busy period at work, coupled with visits to the geekdaughter’s new school and the small matter of the BritMums Live conference, and I’m not sure quite how I’m going to keep on top of everything! 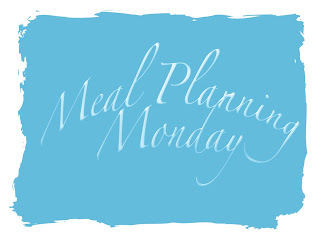 Meal planning should, in theory, be easier this week – I only need to plan meals for the geekdaddy and myself for 4 nights. On Friday he and I are heading into London for BritMums Live whilst some very good friends of ours have kindly agreed to look after the kids for the two days. That said, it’s actually the meals that will be just the two of us that I find the hardest to plan as we never eat until after 8pm with having to get the kids in bed first, and by then neither of us are in the mood to cook at all. My repertoire of quick, healthy, easy to cook meals for two is not wide. Then on Friday it’s off to London for BritMums Live. I’m looking forward to having a couple of nights away with the geekdaddy, and I am hugely grateful to our friends for looking after the kids for us. I’m both nervous and excited about speaking at the conference (I’m giving the “getting started with video blogging” session on Saturday), but I’m not going to let that get in the way of enjoying the rest of the conference. I’ve also discovered that Brave opens next weekend as well, so I’m wondering if the geekdaddy and I will get the chance to sneak off and see that. I can’t remember the last film I saw in a cinema! Whatever happens I’m looking forward to meeting up with my blogging friends, both those I’ve met before and those I only know online. If you see me wandering around at BritMums please come over and say hi! I like a good pie, especially with filo pastry. Can’t wait to see you at Britmums.